Prior to World War I, Edmonton was in the midst of a real estate boom. 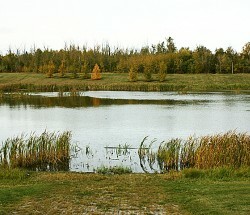 From the time it was incorporated as a town in 1892 until 1913, Edmonton expanded its boundaries substantially. 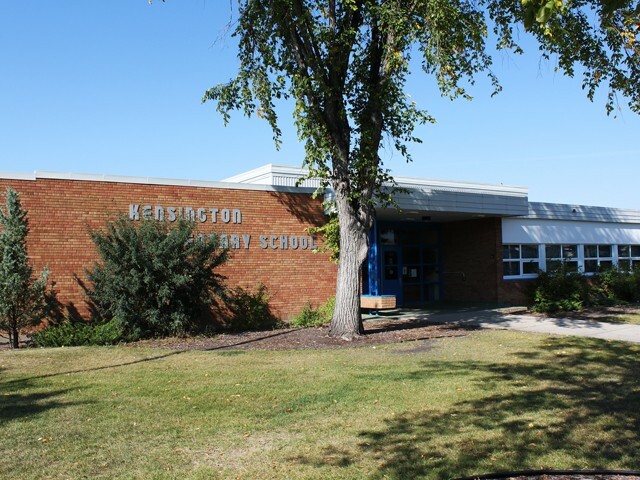 The land that Kensington includes was subdivided by 1911 and was part of a large block of land that was annexed by Edmonton in 1913. 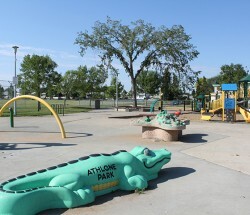 At the time, the nearest development to Kensington was the village of Calder just to the south, and Calder itself was some miles from the developed portion of Edmonton. 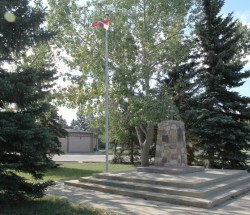 The extent to which Edmonton over-expanded is illustrated by the fact that 137th Avenue, Kensington’s northern boundary, was also part of Edmonton’s boundary until 1971. As a result, Kensington’s original subdivision was discarded. 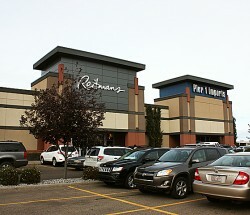 Its modern re-plot was based on several design principals that came into use in Edmonton during the 1950s. The neighbourhood is bounded by major roadways, and its interior street network is arranged in a modified grid pattern with the intent of minimizing through traffic. A community league hall and a school are centrally located. Commercial land uses are placed at the corners of the neighbourhood and at the entry and exit points. The name for this neighbourhood was likely taken from the Kensington area of London, England.